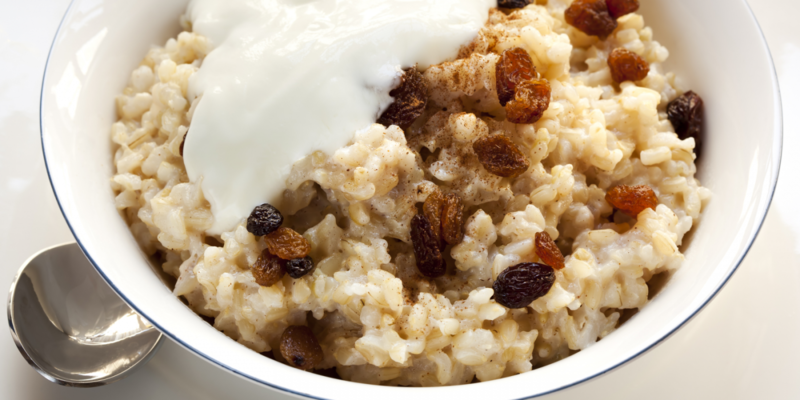 Place rice, milk, and nutmeg in medium saucepan. Bring to boil, stirring frequently. Cover pan and reduce heat to low. Simmer for approximately 45 minutes. Top with chopped nuts, ground flaxseed, and apple.